Zoo Interchange: Has Traffic Congestion Been Reduced? The Zoo Interchange, as seen from the 92nd Street bridge over Interstate-94. Wisconsin has spent a lot of money redoing the Zoo Interchange, but has that relieved congestion for commuters? WUWM's Innovation Reporter Chuck Quirmbach reports. The state of Wisconsin has spent a lot of money redoing the Zoo Interchange — and it wants to spend more. But has traffic congestion been reduced for commuters? And why does more work need to be done? More work on the Zoo Interchange in Milwaukee County would take place if Gov. Tony Evers' state budget proposal goes through. The governor wants action on the far north end of the interchange, from roughly Swan Boulevard to Burleigh Street. Evers recently told news reporters that with the Zoo Interchange, declared complete last year by then-Gov. Scott Walker, the aim is to truly wrap up the job. "The north part of the interchange, the Zoo Interchange, needs to be finished, notwithstanding the claim last time that it was. It wasn't. So, we've still got a lot of barrels up there, we may as well finish the project," Evers said March 1, in Sturtevant. But Republican legislators have been criticizing Evers' plans to pay for more road spending with a gas tax hike. So last week, the Wisconsin Department of Transportation (DOT), held a news conference at Children's Hospital in Wauwatosa. Milwaukee Regional Medical Center Director Bob Simi says finishing the Zoo Interchange's north leg would ease the minds of parents whose children need care at the hospital. 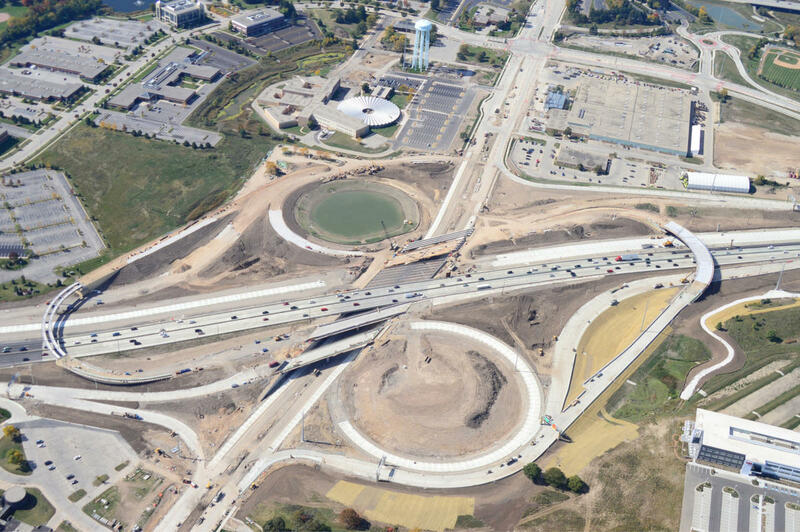 An aerial photo of the progress through late September 2014 of the Watertown Plank Road Interchange. "You can imagine the level of anxiety the patients and the family members are experiencing, and how important it is, with this massive number of patients and employees to arrive here safely and quickly," Simi says. He says 150,000 vehicles a day use the north leg, while more than twice that number use some part of the Zoo Interchange. It is a busy junction there, where Interstate-94 crosses with Interstate-41. Dan O'Brien commutes every work day between his home and the Third Ward in downtown Milwaukee. 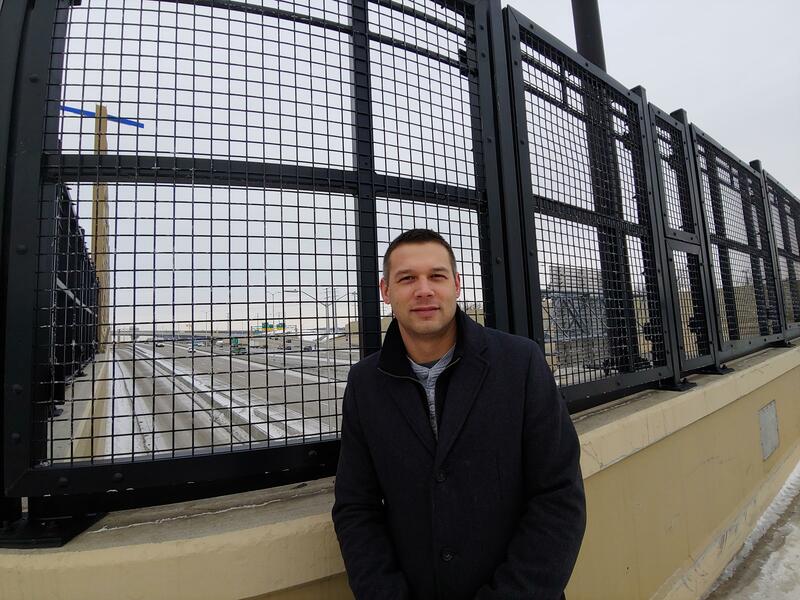 He recently wrote to Beats Me, wondering whether the past few years of work on the Zoo Interchange have sped up traffic. After a huge road construction projects—Zoo Interchange—does the department of transportation actually audit to see if traffic is improved? Beats Me questioner Dan O'Brien stands on the 92nd St. bridge over I-94. "In all of those commutes, I avoid the freeway, almost at all costs, because before and after all the construction, it's still super slow," O'Brien says. Michael Pyritz, communications manager for the DOT's Southeast Region, says there isn't much data yet on traffic congestion relief in the — mostly — done Zoo Interchange. "I avoid the freeway, almost at all costs, because before and after all the construction, it's still super slow," says Dan O'Brien. He says there is more information, mainly on safety, on another huge reconstruction project that wrapped up a decade ago — the Marquette Interchange in downtown Milwaukee. "We've seen better than a 30 percent reduction in crashes from before the project. You know, one of the benefits you get from that investment is getting an interchange built to modern standards. The Marquette Interchange, the Zoo Interchange were really designed back in the 1950s," Pyritz says. After the Marquette was rebuilt, Pyritz says congestion persisted. So, the DOT reconfigured some lanes just west of the Marquette. The Marquette Interchange in downtown Milwaukee. Pyritz says the congestion O'Brien mentions just east of the Zoo Interchange has to do with a delayed project, a proposed re-do of I-94 between 70th and 16th Streets. "One of the challenges we have is we are incrementally building and rebuilding the system. So, we have a brand new modern heart, attached to 1950 arteries," he explains. The Southeastern Wisconsin Regional Planning Commission (SEWRPC) also points to the delayed East-West freeway project. But Executive Director Kevin Muhs says even if that someday goes through, don't expect to always zip along. "If anyone's promising complete congestion relief, they're being dishonest," says Kevin Muhs. "If anyone's promising complete congestion relief, they're being dishonest. But, we are hoping to maintain, long-term, the level of congestion we have right now, so the system doesn't get overwhelmed," Muhs says. 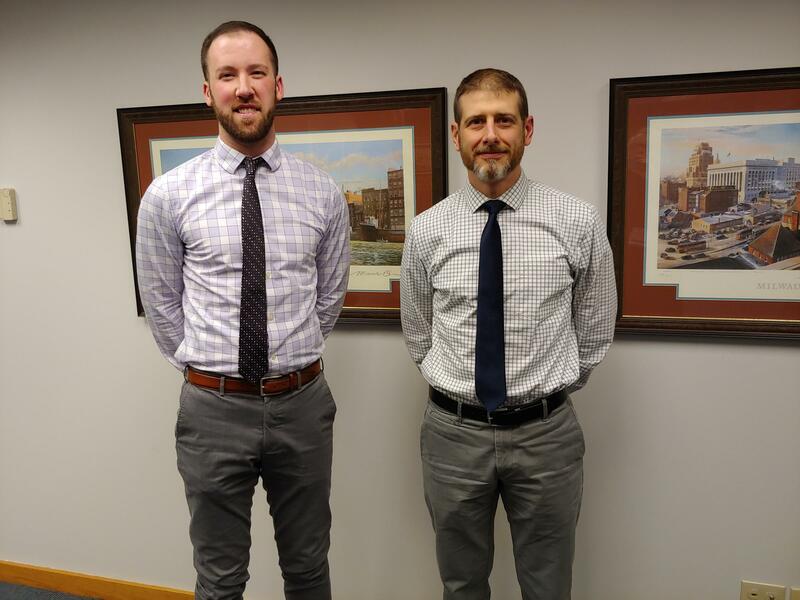 (From left) Kevin Muhs, executive director, and Christopher Hiebert, chief transportation engineer, of the Southeastern Wisconsin Regional Planning Commission. He says SEWRPC's prediction for the next 30 years is that traffic counts will continue to go up. "We're expecting new people and jobs to come to the region. There will be more demand on the transportation system. More people will be driving on it, and that's going to create more congestion," Muhs says. "It may be that we have to find ways to get cars off the road if we ever want to alleviate the congestion," O'Brien says. The challenges, according to agencies like SEWRPC, are timing and finding the money. Do you have a question about innovation in Wisconsin that you'd like WUWM's Chuck Quirmbach to explore? Submit it below. Innovation. Race and ethnicity. Environment. Education. These are the huge topics WUWM's beat reporters tackle every day. These issues are so big, it can be hard to decide what to dig into and where to begin. So, we want to hear from you — our community. Beats Me answers your questions about how education, the environment, race and innovation impacts life in southeastern Wisconsin. Put your thinking cap on and submit your questions. As freeway routes were constructed in the 1960s, lots of Milwaukeeans were impacted — houses were demolished, businesses had to relocate. In part due to the upheaval, some communities still haven’t recovered decades later. 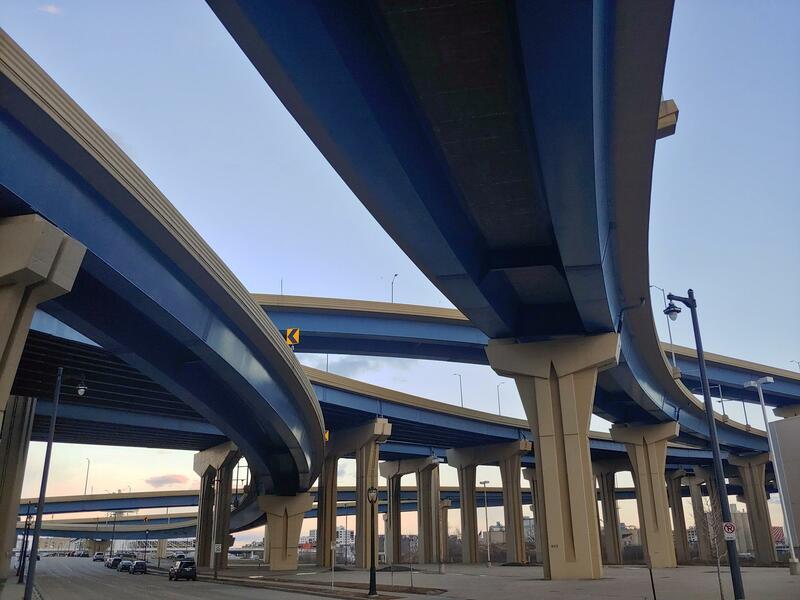 One of our community members heard stories about a freeway spur running through Milwaukee’s central city in the 1960s and wanted to know more. So, she submitted the question to Beats Me — our series that allows you to ask questions about race, education, innovation and the environment. What Are Those 16-story Tall Towers Near the Zoo Interchange? Work continues on new electrical towers and substations in the Zoo Interchange. Large-scale electrical work is underway in the Zoo Interchange.